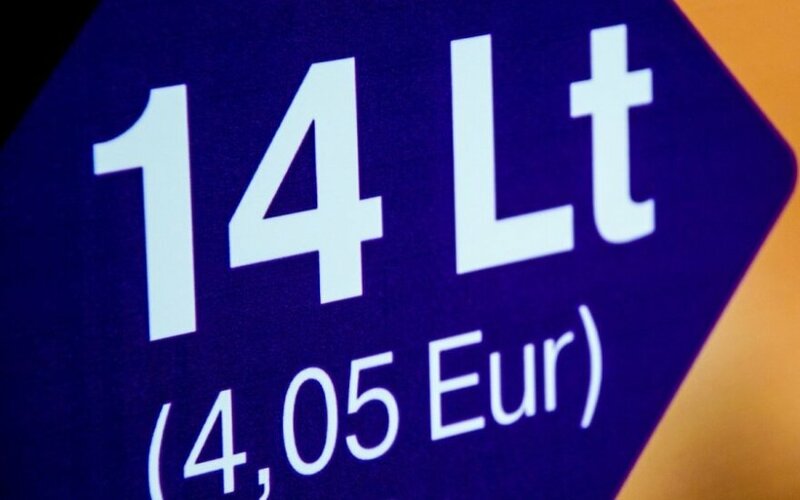 The number of violations related to dual display of prices in the litas and the euro has been decreasing, which shows that Lithuania has duly prepared for the currency changeover, Justice Minister has said. “The current situation shows that the country’s authorities, businesses as well as regulators are well prepared for the adoption of the euro,” Juozas Bernatonis said at a news conference on Friday. Some 11,400 checks carried out from Aug. 22 until now had revealed 734 violations, or 6.4 percent of all checks, he said, adding that the share of violations established in Latvia and Estonia in the first months of controls before the changeover was as high as approximately 40 percent. Meanwhile, Feliksas Petrauskas, the head of the Lithuanian State Consumer Rights Protection Authority, pointed to a continuous decrease in the number of violations. In particular, they accounted for 10.2 percent of all checks in August yet later decreased to 7.5 percent in September, to 6.3 percent in October and to just 4.9 percent in November. Although the euro will be adopted in less than three weeks, checks will continue until Jul. 1. Moreover, this term may be extended until the end of 2015, in line with a recommendation provided in the European Commission’s latest report about Lithuania’s progress towards euro changeover.